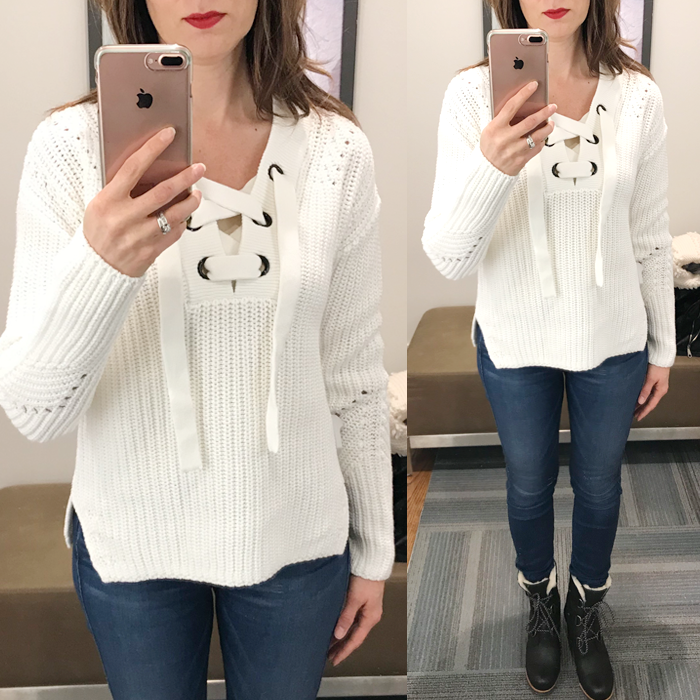 Don't you "LOVE" my sweater in the first picture? It is 40% off - and will probably sell-out soon! Right now, I am trying to figure out how next week can be the middle of February already (and Valentine’s Day)? I am ready for spring weather - but I am not sure I am ready for the year to be moving so fast! 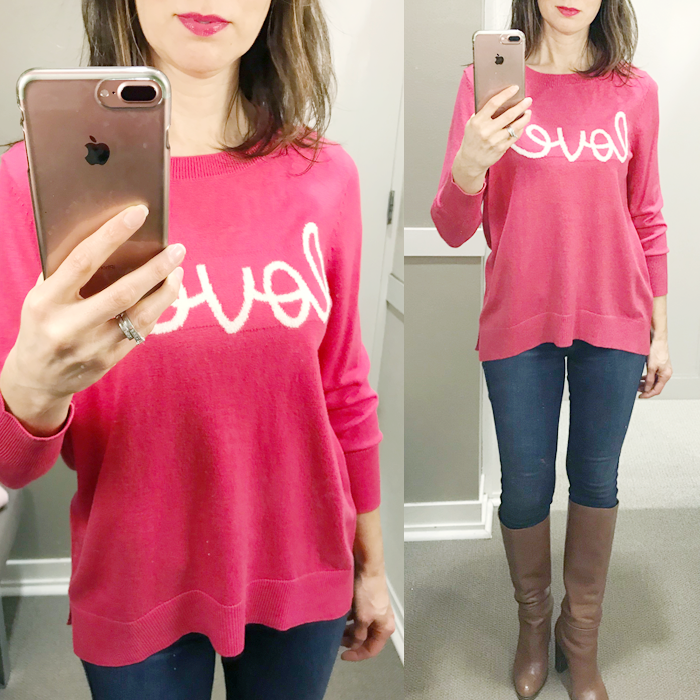 Today, I am sharing a try on session in Valentine's (or Galentine's) Day colors - pink and red. There are some great deals - with end of season sales. These cute sandal slides are on sale for $35 - and come in different colors. Check out these leopard fur lined mules! 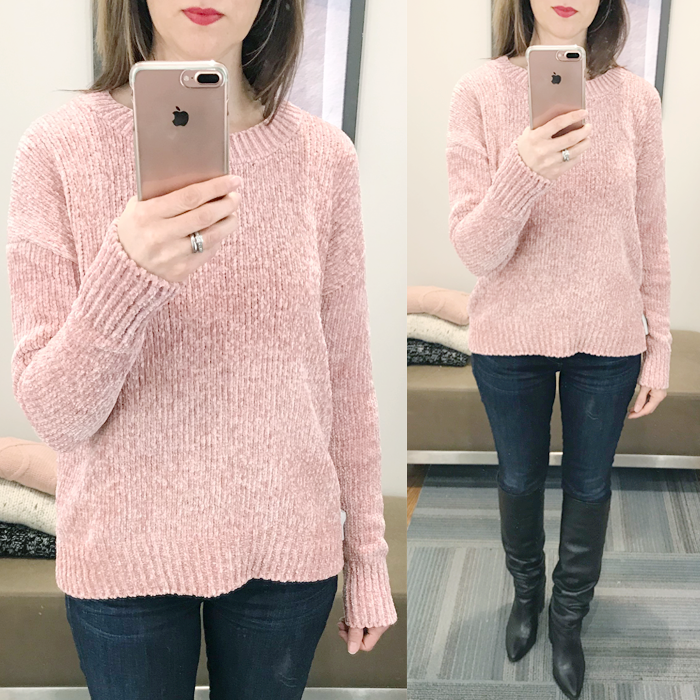 A favorite spring/summer sweater of mine in a pretty pink (and other colors) - and it's on sale for $13. 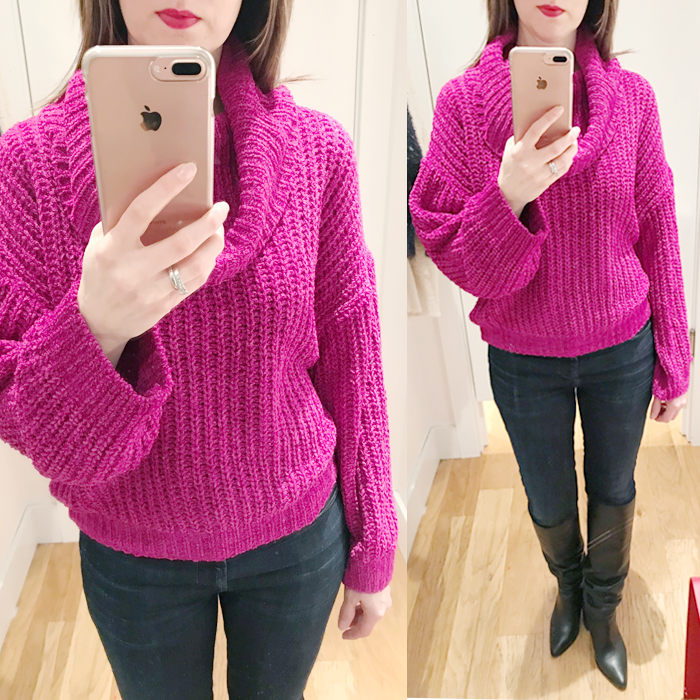 I love this lilac purple sweater. 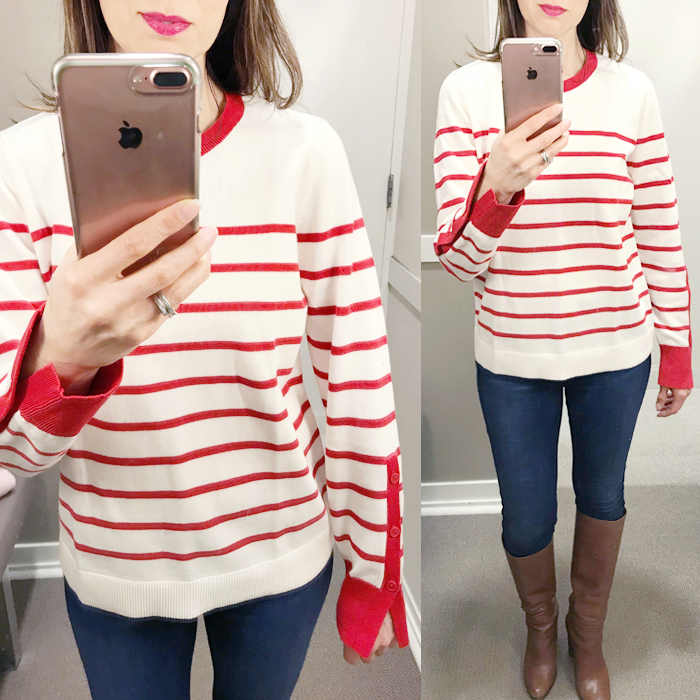 I have been thinking about getting this striped t-neck - it is $18. I just found the cutest floral wrap dress - comes in two colors - and under $50. This classic yet fun burgundy blazer is on sale for $45. This fun workout sneakers are almost 50% off! I think a lot of people love these yellow pants because they are selling out quickly. 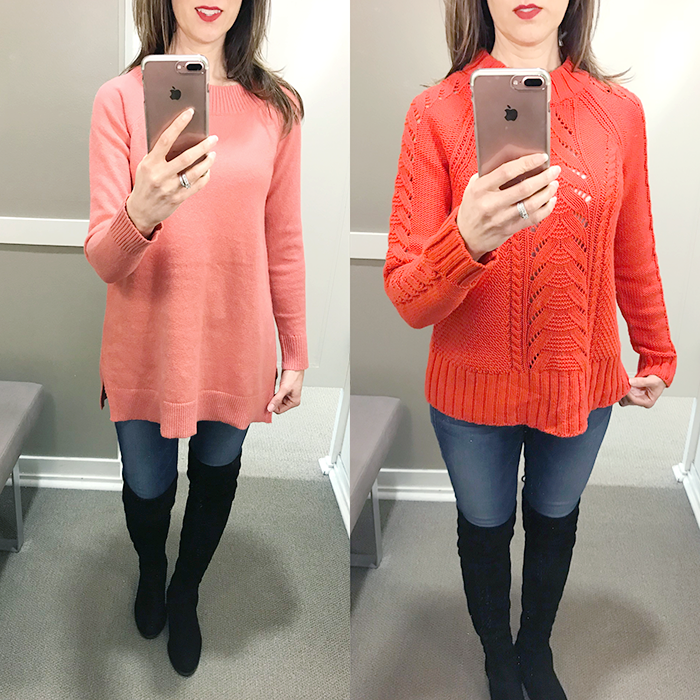 I just found this cardigan - and I love it - just can’t decide which color I like better. 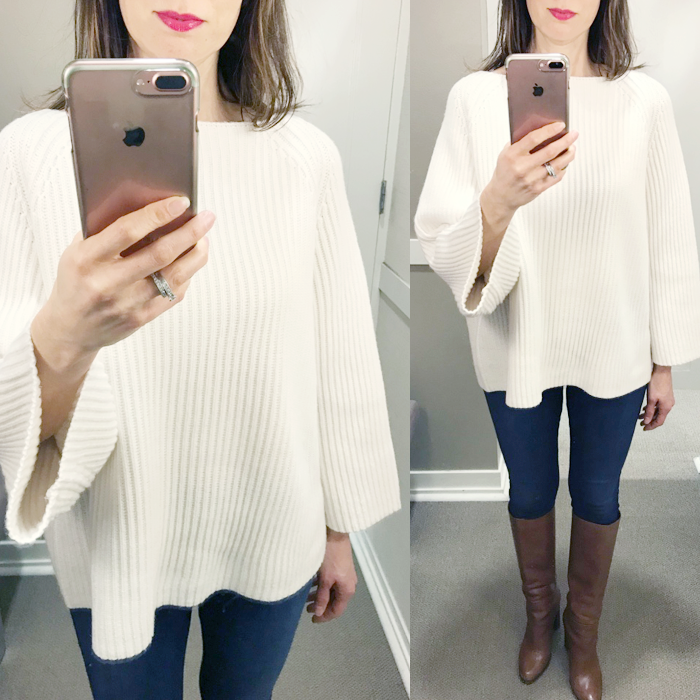 You look great in every single one of these sweaters! 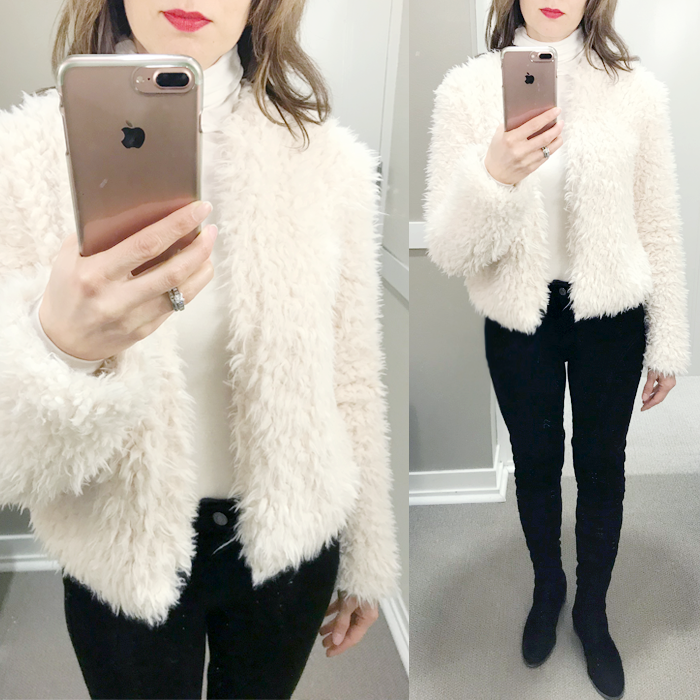 I love the faux fur jacket - so pretty and so cozy! 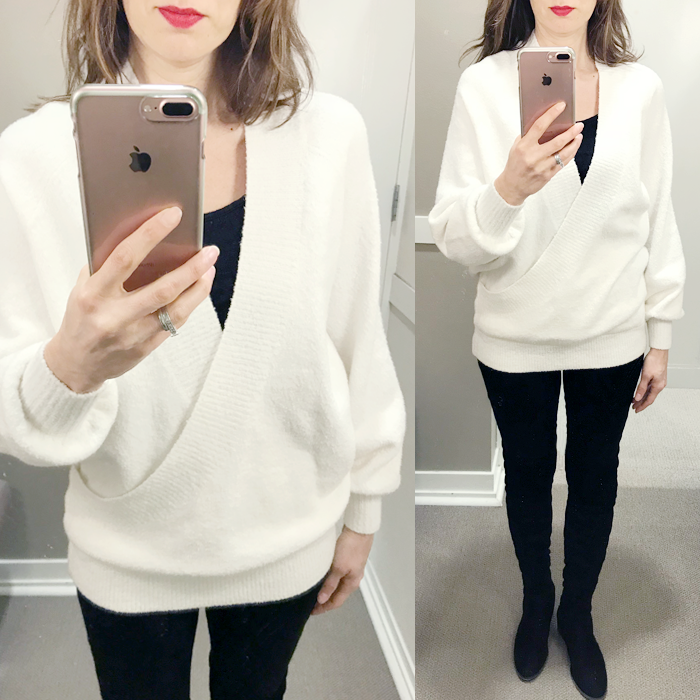 You do look so good in sweaters, they always look so chic on you! 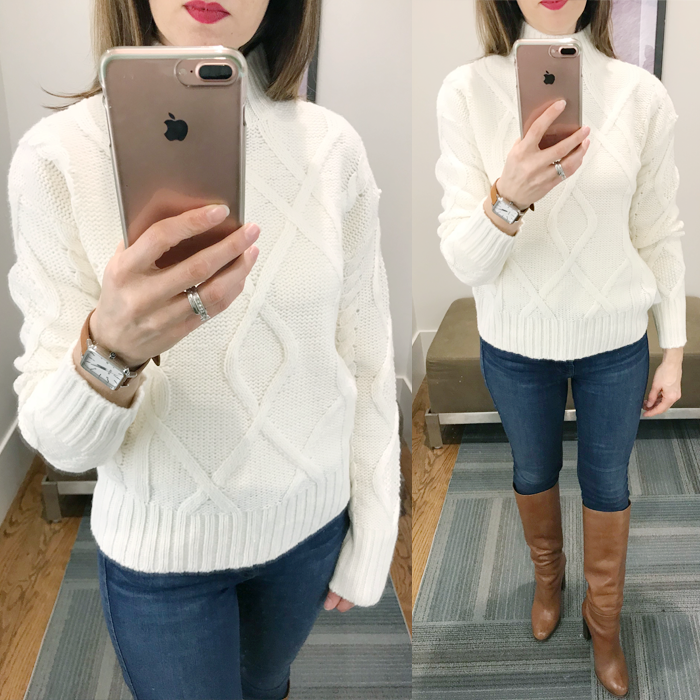 I love all the sweaters! 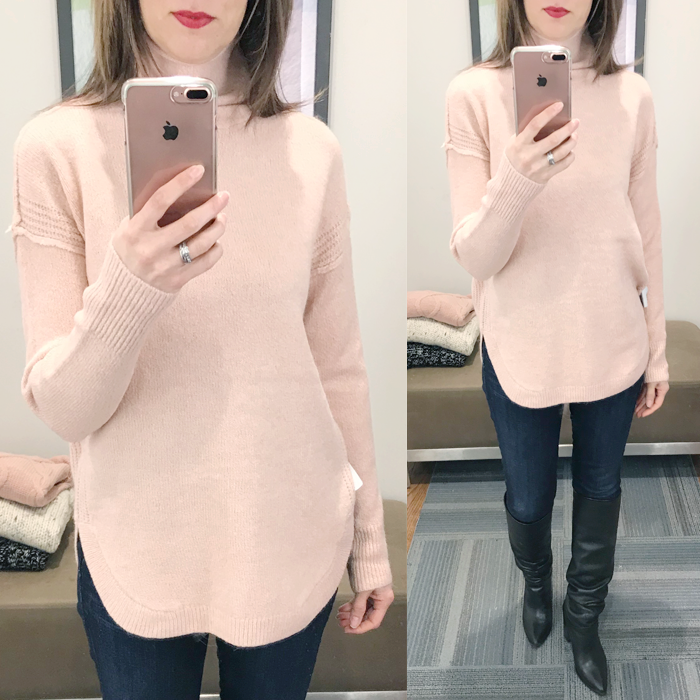 Need to head to Loft and see what's on sale! Oh, so many cute items! My favs are the "Love" sweater, the peach ribbed turtleneck tunic, the lace up sweater, and the fur coat. Wish that coat wasn't sold out! 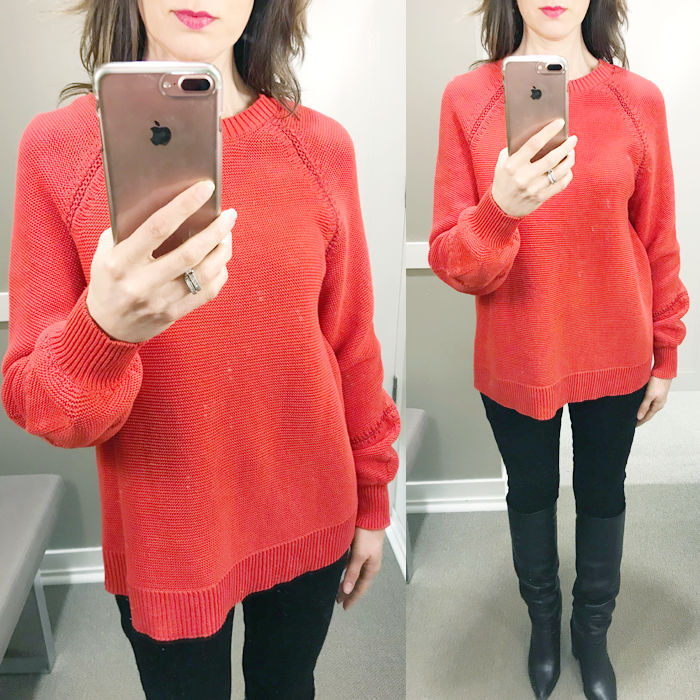 So many great sweaters! 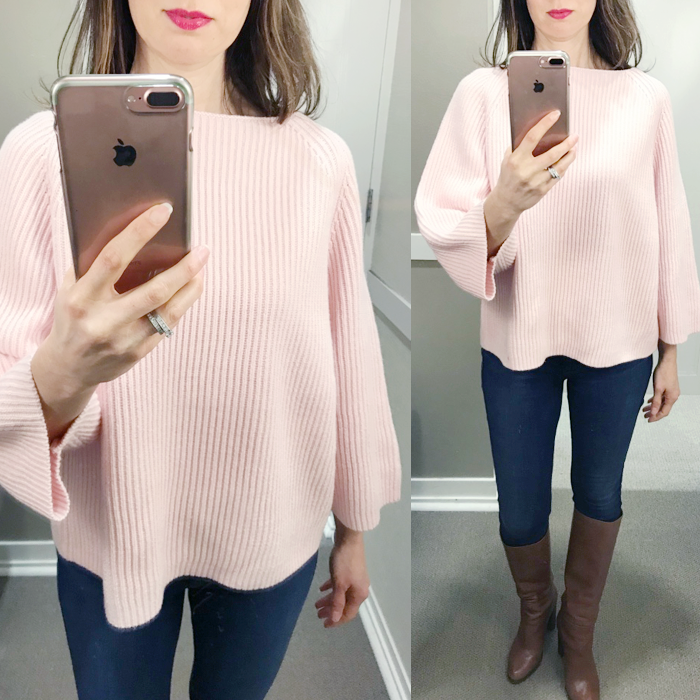 I really like the faux fur jacket and hot pink cowl neck. 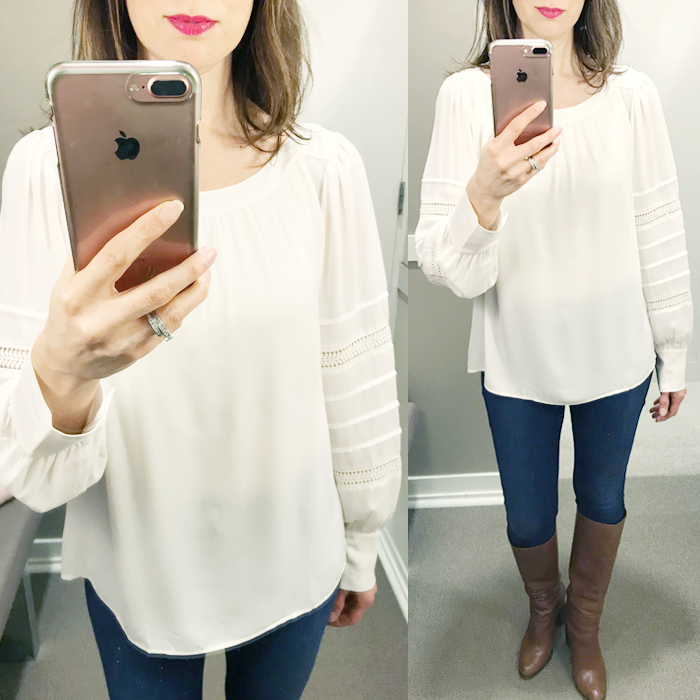 Thanks for linking up with Fabulous Friday, Lisa!